At long last, Offset‘s oft-delayed debut solo studio album is finally around the corner. He took things a different direction from either of his Migos cohorts with the promotion of his new LP. Instead of releasing singles ahead of the project and letting the music do the talking, he’s shared a promotional trailer that features previously unseen footage of Cardi B giving birth to their daughter Kulture. Yeah, it’s that weird when you actually sit down to watch it. Find out for yourself below. To keep it fair, the 45-second clip is pretty tasteful. There’s a smooth piano playing in the background with some footage of Offset doing what he does best; performing at sold-out venues, counting absurdly large stacks of money, and laying down fresh verses in the studio – the divine trinity of rap tasks. With 15 seconds left though, it abruptly cuts to Cardi’s face while she’s in excruciating pain, trying to push Kulture out of her body while family and a team of doctors surround her. Inexplicably, the instrumental gets louder as her screams grow in intensity, all the while the doctors tell her to push harder. Suddenly, the camera shifts to Offset who’s standing on the side of the bed, staring at the camera as if he’s in an episode of The Office. The release date is then revealed to be February 22. 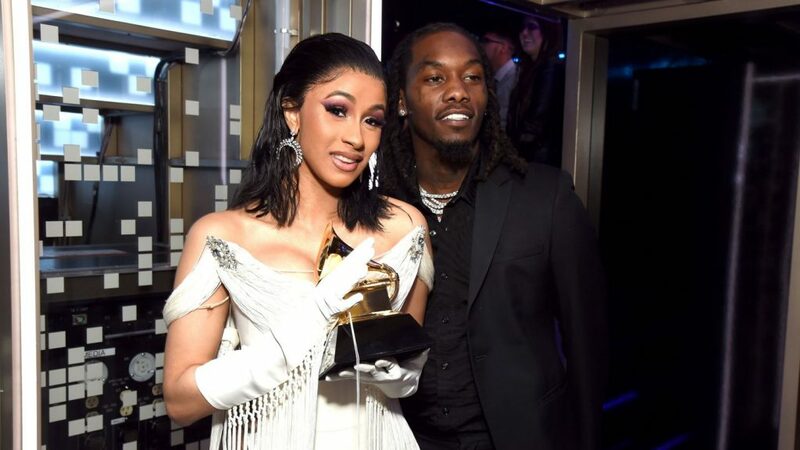 Offset’s mind-boggling trailer came shortly after he appeared with Cardi at the Grammys where he stood in the audience watching her perform “Money” with his tongue out. He looked like a wolf that spotted prey after a long night of hunting. It finally seems like things have settled down in their household. Just two months ago, Offset crashed the stage at Rolling Loud where Cardi performed, to ask for her forgiveness following their split.